Evelyn, 1 week old, giving her opinion on not being held. March 26, 2011 kicked off my harrowing journey through being a first-time mom to a newborn. That experience transformed me in an unexpected way: I’ve become a cheerleader and supporter of everyone I know going through (or about to go through) new parenthood. Before I had a baby I had this idea that the early weeks with a newborn would be cozy and glowing, full of napping and snuggling. All the photos I saw were of cozy sleeping babies! Instead, I felt like I was hit by a truck. I was crying at the drop of a hat as my postpartum hormones went nuts, I was sore, overwhelmed, sleep deprived, and wondering why the hell anyone would ever have a second baby. At the same time, I was falling in love with my daughter. I loved the feel of her little body sleeping on my chest, I loved the moments when her eyes were open and looking around, I loved studying her fingers and nose. The emotional highs and lows were making me motion sick. It was all very confusing and not one bit like what anyone told me it would be like, or what people seemed to think it was like. Even people who had gone through it said things like “Enjoy this magical time!” and “Isn’t it so wonderful?” No! It wasn’t. It was hard, it was taking every ounce of my determination to get through. Establishing breastfeeding was tough. I was getting no more than three hours of sleep a night. I was recovering from surgery. It required a support team of an amazing husband and family to get through those early weeks. Eventually, the balance shifted and the wonderful moments came more frequently, the impossible moments became old hat, and little by little I slept more than two hours a night. But whoa. It was intense, for all of us. And so I tell my new mom friends that it is totally normal to feel like new parenthood is insane, that it will seem glowy when you look back on it but in the moment it is full of constant nursing, worrying about poop, exhaustion, and crying on the part of everyone. And despite what people try to make you think: babies wake up a lot at night. That’s normal. And for many babies, it’s normal for many months. Everyone will ask how your baby sleeps at night, they’ve just forgotten that their own baby never slept either. In the first weeks home with a baby I did a lot of reading books and websites- looking for reassurance of what was normal, what to worry about, and when things would change. I was determined to breastfeed, but the only person I knew who had recently nursed a newborn was my best friend in Michigan. I was lucky enough to get connected with the local La Leche League for some much-needed support regarding nursing. The support and help from our parents was incredible, but in a lot of ways my husband and I were going it alone – the first of our local friends to have a baby, we really didn’t know what to expect. KellyMom – In my opinion, this is the best breastfeeding website out there. Science/research-based, it covers all kinds of topics. This is the place to go with questions about the early days of breastfeeding, what’s normal, when to worry, what to do about issues that come up, etc. JanetLansbury.com – Janet Lansbury’s approach to parenting is one that we’ve really identified with. I wish I’d discovered her sooner, as I really like a lot of what she has to say about parenting an infant. This site is a great resource. AskDrSears.com was bookmarked on my phone in those early months. Lots of good stuff about soothing a newborn, babywearing, sleep, and breastfeeding. Squint Mom and Science of Mom offer research-based info, which is reassuring in a world of not-so-researched-based opinions on parenting. La Leche League – Every new mom should find their local group and attend meetings. I can’t push this enough. A supportive community is so so key to breastfeeding success – these ladies will have your back, help you out, get you through. The website also has some good resources. If you’re in the Albany area I highly recommend attending the East Greenbush group’s meetings. They are welcoming, friendly, and the support is so crucial. 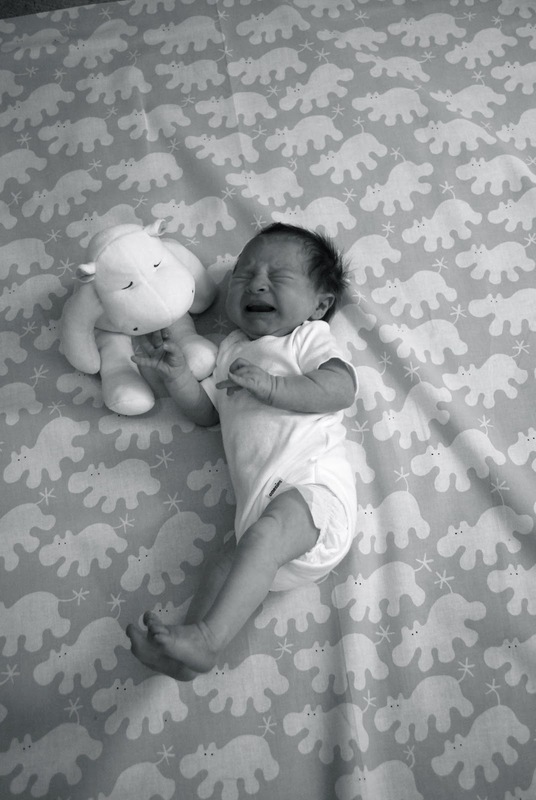 12 Things Your Crying Baby Wants You to Know This is the kind of thing overwhelmed new moms need to read.